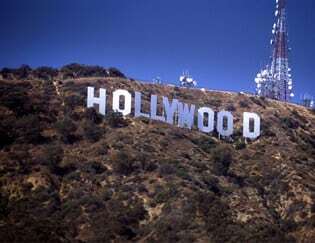 LA Teeth whitening specialist only in laser teeth whitening and have clinics all over the UK. 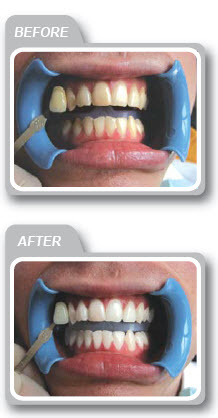 Unlike some of our competitors who other beauty treatment we only undertake the LASER teeth whitening system. LA Teeth whitening system always works and we can guarantee we can achieve a minimum of 4-6 shades whiter with many customers experiencing up to 12 shades lighter using the Vita shade guide. LA Teeth whitening clinic in Borehamwood is located just a 10 minutes walk from Elstree and Borehamwood train station which on the mainline to Kings Cross. Our clinic has plenty of free parking outside and can organise evening and weekend appointments to suit your work and lifestyle. The clinic in Borehamwood and Elstree is ideally located from across Hertfordshire, Middlesex and London. Areas covered include Abbots Langley, Amersham, Acton, Apsley, Aylesbury, Enfield. Get a new smile if you live in Barnet, Beaconsfield, Berkhamsted, Hemel Hempstead / Bovingdon ,Bushey. Call us for an appointment – Chalfont, Chesham, Cheshunt, Chorleywood, Cockfosters, Colindale, Denham, Dunstable, Ealing, Edgware, Edmonton, Elstree, Finchley, Garston, Gerrards Cross, Hadley Wood. Borehamwood is perfect to get to if you reside in Kings Langley, London, London Colney, Loudwater, Luton, Middlesex, Middx, Mill End, Mill Hill, North Harrow, North London, Golders Green, Northolt, Northwest London, Pinner, Potters Bar, Radlett, Regents Park, Rickmansworth, Ruislip, Ruislip Manor, South Harrow, South Ruislip, Southgate, St Albans / Bricket Wood , Stanmore, Stevenage, Sudbury. Call today for an appointment if your from Uxbridge, Watford, Wealdstone, , Harpenden, Wembley, West Harrow, West London. On the same day as the appointment we will arrange a consultation and if both parties are happy we will proceed with the laser teeth whitening treatment on the same day. After the treatment we will compare the results again using the Vita guide and then show you how to use the FREE home kit which keeps teeth looking really white if used for 30 minutes every 6-8 weeks. If you are interested in having your teeth whitened in our Borehamwood clinic then why not organise bringing a friend or family member with you as LA Teeth Whitening offer amazing deals. See our current monthly special offers. Located in Theobold street with parking outside we are perfectly located in Borehamwood and Radlett. The trains run frequently from London St Pancras and reach Elstree & Borehamwood station in just 20 minutes. Free parking outside. Get the latest LASER TEETH WHITENING treatment direct from the USA now available in Borehamwood in Hertfordshire! So if you have stained teeth why not have our amazing one hour laser whitening treatment to enhance your smile to show the whitest results in just one appointment at our clinic.